Just because the Christmas celebrations are winding down doesn't mean we can't feel all festive and excited about the final Nintendo Download of 2011. What choice delights does Nintendo Europe have lined up for excited eShoppers this week? Read on, dear reader, and find out. 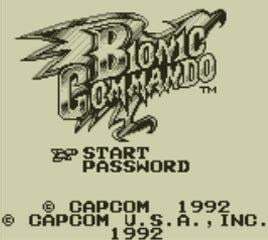 Bionic Commando (Game Boy, Capcom, £3.60/€4) — The grappling hook-toting hero comes to 3DS in this rather enjoyable Game Boy side-scroller. Also released in North America on the same day, we'll have a full review soon. 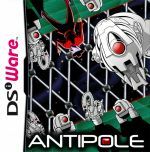 Antipole (Saturnine Games, 500pts) — A very enjoyable gravity-flipping adventure, read all about it in our Antipole review. Flipper 2: Flush the Goldfish (GoodbyeGalaxyGames, 500pts) — Hugo Smits' one-button action game makes it to Europe before 2012 rolls in. We'll have a full review soon, but in the meantime check out our Flipper 2: Flush the Goldfish first impressions. Gnomz (QubicGames, full version: 500pts) — Jump on some ceramic heads in a playable demo of this brawler, then read our Gnomz review for the full lowdown. What will you be downloading to wave goodbye to 2011? Flipper2 and the Gnomz demo for me. 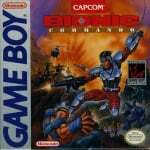 Probably not Bionic Commando - so nothing for me. In fairness, the Antipole video looked pretty cool, so I might invest some of my Christmas points on it. Kinda a funny coincidence that you guys get Antipole the same day we get VVVVVV. I only have a Wii. Since there are no new WiiWare or VC games: Nothing for me. Still no Cave Story on DSiware! Thought it was coming Q4 2011. I hope it hasn't been cancelled for Europe. @Private-Pegasus That's a real pity if it's true. Especially because I have zero interest in Cave Story 3D. I really don't like what they've done with it. @Splodge I feel the same. I refuse to buy Cave Story 3D. They will only get my money if they release the DSi Ware version. Oh well, I haven't even found the time to play Mighty Switch Force yet and I should try to go easy on my wallet anyway. The novelty of playing Gameboy games has worn off for me. If there's nothing new in 3D then I'll pass. Still too bust writing Letterbox notes and playing Mighty Switch Force anyway. Where thou the Game Gear games? no playable demos for 3DS ? Bright prospects here. 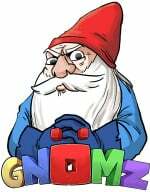 A download of Antipole and the Gnomz demo is a given. And if reviews say that Bionic Commando and Flipper 2 are as great as i think they'll follow soon. Japan got four new Demos in their eshop update!! Including Metal Gear Solid and Resident Evil... when are they going to make there way over to blighty? "Nintendo 3DS - Nintendo Video - The 3D Machine" - Searching for this phrase on youtube leads you to a great little short cartoon. The 3D in it is impressive too so make sure to check your Nintendo Video app for it first. Written on the 3DS so i sadly can't give a direct link. I got Bionic Commando on Capcom Collection (vol 1) for PS2, but i'll still get the GB game as i understand this is not really a port of the arcade game, but based on a NES game, which was pretty different to the arcade.